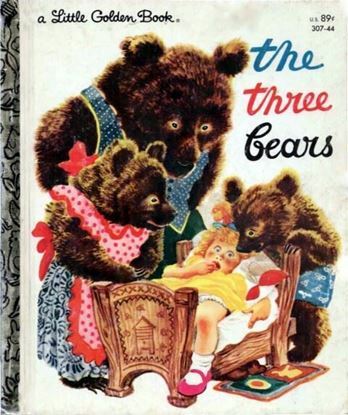 This is a digital copy of the entire 25 color pages of the child's book "The Three Bears". The finished book measures .75"h x 9/16" deep x 1/8" thick. Please don't give it to friends or share it on the internet. I spent many hours putting this little book template together and I am charging a falseminal fee for that service, so please I would really appreciate it if you would be respectful of my work and don't share, sell or give it away. 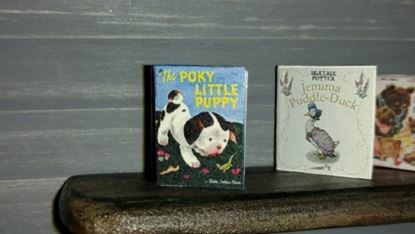 These books are a digital copy of an original book that has been reformatted in various ways in order to to used in a miniature setting. These are in kit form for the purchaser to assemble themselves. You will receive a download link via email after payment is processed. Please don't give it to friends or share it on the internet. I spent many hours putting this little book template together and I am charging a minimal fee for that service, so please I would really appreciate it if you would be respectful of my work and don't share, sell or give it away. 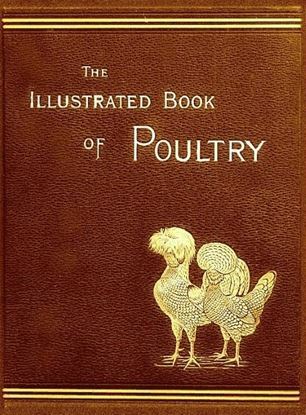 This is a fat book consisting of 40 pages of beautiful roosters and hens. 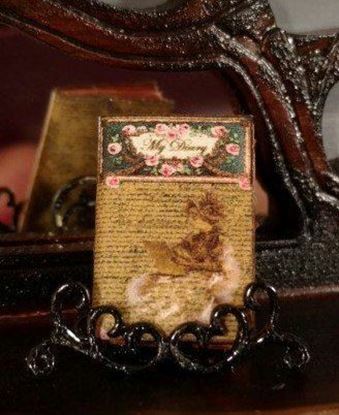 The finished book measures 1" x 1" x 1/4" thick. 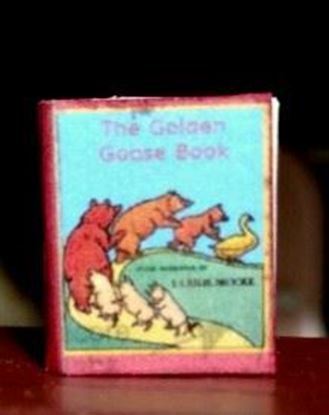 This is a digital copy of the 26 pages of the golden goose children's tale. I completely redid the cover to make it bright and attractive. I edited every page to bring out the bright beautiful colors. It has color and black and white pages, printed and photographs. Your purchase includes easy to follow instructions on how to assemble the book. The finished book measures 3/4" h x 5/8" w. All of my books come with the title on the spine for perfect display on a bookshelf. 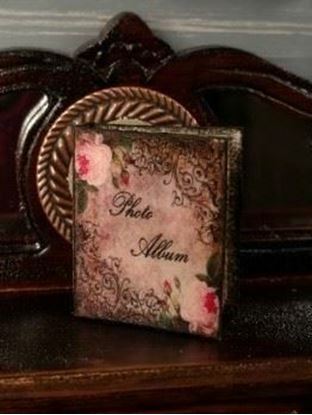 This is a digital download of 18 pages of a beautiful photo album. There are 18 pages with photos. The finished book measures 1" h x 11/16" w x 3/16" thick. Please don't give it to friends or share it on the internet. I spent many hours putting this little book template together and I am charging a minal fee for that service, so please I would really appreciate it if you would be respectful of my work and don't share, sell or give it away. This is a digital copy of the entire 10 page book. It's in color and includes instructions on how to assemble. The finished book measures under 1" h x .75"w.